Altered Alchemy : i knew i had forgotten something! i remember she had a darn lot of prizes... 8 gifts or something like that?! she must have spent a fortune on the giveaways. and i remember being extra guilty when i received her parcel cos it costs soooo much to ship here!! arghhh!! but man... i didn't only get the gift that i supposedly won, carolyn even threw in plenty of extras! bless her! 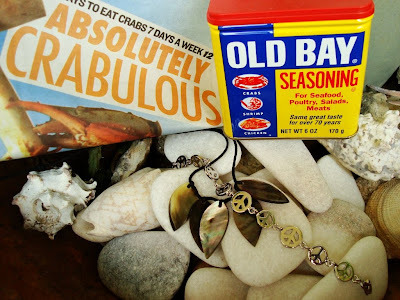 essentially i won the old bay seasoning :) but look what other goodies came with it! 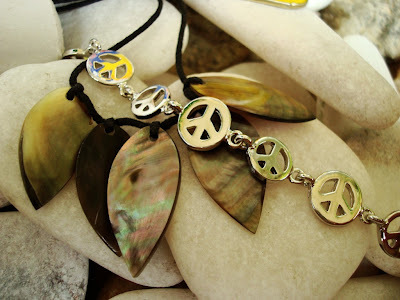 carolyn's favorite is the peace sign hence the lovely peace bracelet . the oyster shell necklace came in the parcel too! 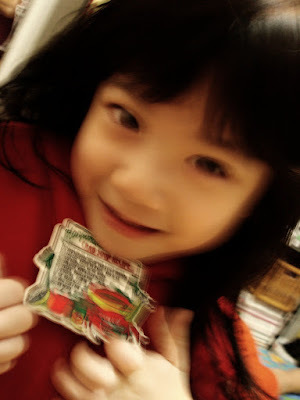 did i mention she bought a peace keyholder from me :) plus, she was my first ever customer at etsy :) WHOOT! 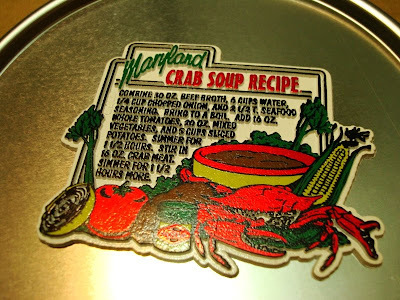 if you notice in the first picture, carolyn sent me a local newspaper filled with recipes that i can use for the seasoning ... she must know i can't cook :p ... well ... *shamefully* i still haven't tried the recipes yet but i love adding old bay into my soup and my noodles ! really gives it the extra zang!! thanks! did you?? it's really yummy tho and indirectly making me fat cos i have supper nearly every night with it now!